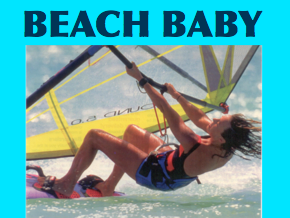 Beach Baby is a comedy about a tightly wound retired high school teacher stuck in a dead end life who meets a hang-loose stranger that cons her into taking his windsurfing lessons. Audrey was disciplined enough to save so she could retire early and go on a grand world tour with her husband until he ran off with a chick from the Spam factory. Now, divorced and stuck in a dead end life, Audrey carries enough anger and angst for someone three times her age. She drives angry and rams her car into a 1970s vintage RV owned by Skog, a hang-loose stranger insists her life will be awesome if she will only take his windsurfing lessons. She immediately hates the guy and all he stands for. But Skog, the Bagger Vance of windsurfing, begins to work his Jedi mind tricks on her. 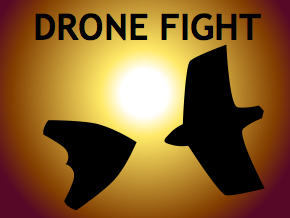 Drone Fight is about two attack drones must dogfight each other as a publicity stunt. Lance is a sleek, agile drone designed by Ken, a brilliant, lazy slob of an aeronautics engineer. Badger is a heavily armed and armored drone designed by Sonja, a loud, lusty robotics engineer. The companies they work for are desperate to get the government’s one drone contract and the only way to get it is to win the dogfight. The software that enables them to adapt in battle works so well that during the dogfight both drones become sentient, bond, and make a run for it with the air force in hot pursuit. To save them, their human designers must guess what they’ll do next. 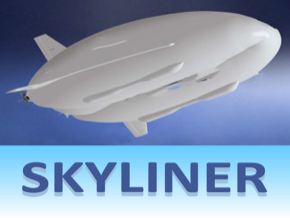 Skyliner is an action adventure set in the near future about a young, grief stricken girl who must battle her mother’s killer to save the guests and crew of a high tech luxury airship. Massive yet beautiful and even graceful, skyliners fly around the country the way steamboats used to sail on the Mississippi River. The giant neutral buoyancy lifting body aircraft are capable of transporting huge quantities of cargo for emergency missions like floods and hurricanes. Even better, a skyliner can be a flying vacation destination with a hotel, restaurants, shops, theaters, game rooms, and a theme park. That becomes Robin’s world as she begins the biggest adventure of her young life. 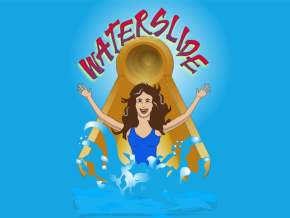 In Waterslide a smartass girl leads her parents on a wild chase through a waterpark to avoid the interview they set up for a prestigious college prep school. Funny stuff happens in the indoor waterparks of Wisconsin Dells. Like, for instance what happened to Mallory, an expert waterslide rider and buddy to every lifeguard. She aces her classes is so she can get out of high school early and do what she is sure she was born to do, work in a waterpark. But, her parents want her to use her smarts to become a doctor, lawyer, or executive producer. They’ve signed her up to interview for a prestigious college prep school. And today's the day. Mallory thinks if she ditches the interview by hiding in the waterpark, she can skip the descent into an unsavory profession. Sure, Mallory’s plan could work. But Sara, Mallory’s grade school nemesis with feminine wiles beyond her years, tricks Mallory and her parents which sets off a crazy chase. They splash through kiddie pools and river rafting tunnels, down waterslides and water funnels, up water coasters and down zip-lines. Come on. It’ll be fun! 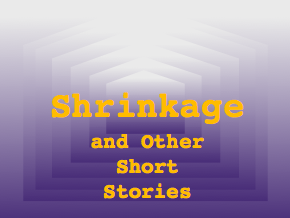 Shrinkage and Other Short Stories is a collection of short stories derived from the author’s screenplays for comedy and action movies. The titular story takes a humorous shot over the bow of big pharma while standing the classic image of the American male on its head. It’s about a slick, basketball obsessed drug company executive who pumps himself up with a secret drug and finds out the hard way that there are physical consequences that may not be what you’re thinking. 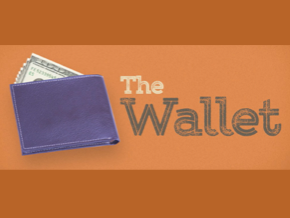 The Wallet makes fun of finance and how it works, or doesn’t. You find an empty wallet. You see something you want. It fills up with exactly enough cash to buy it. But it doesn’t always work. People think you’re crazy. You start to think you’re crazy. But, if you could discover its secret? Wow! That’s what happens to the characters in this collection of short stories derived from the screenplays the author wrote for The Wallet Comedy Series. 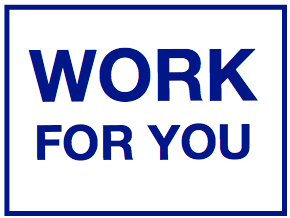 Work For You is a small, inexpensive ebook with advice about how to get a job. It shows you why it helps to think of job hunting is an experience you live through, not a problem with a solution. It teaches you how to blend into a career instead of breaking into a job. The advice is distilled from the experience of living through six careers and over two dozen jobs in four states.